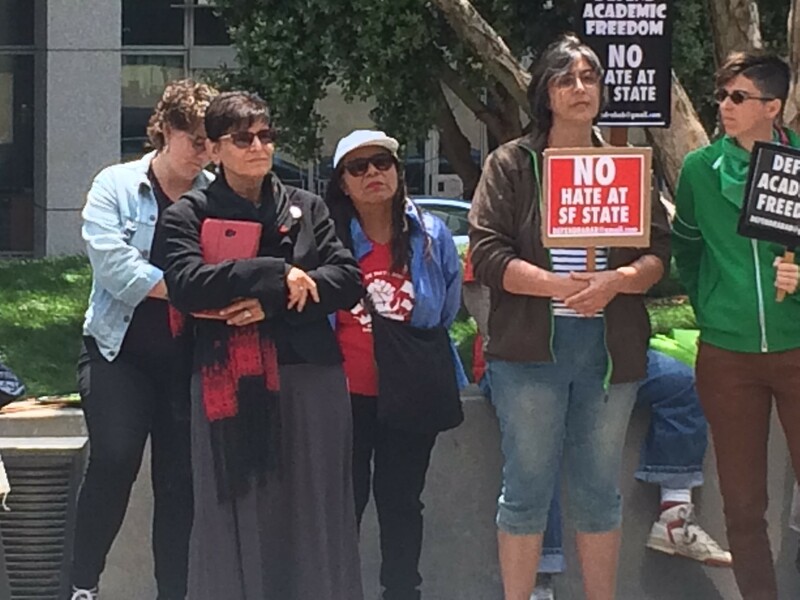 A federal judge said today that he will dismiss a complaint filed by Jewish students and community members alleging systemic anti-Semitism at San Francisco State University, but he gave the Jewish group the right to amend it and refile the suit. 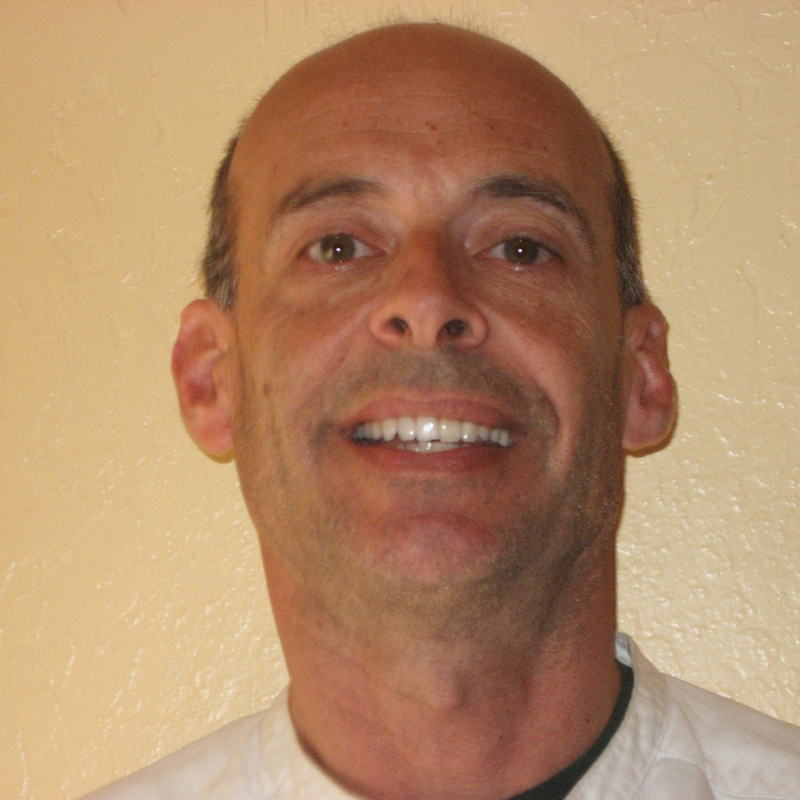 Attorneys representing the plaintiffs vowed to do so, saying the suit will go forward. 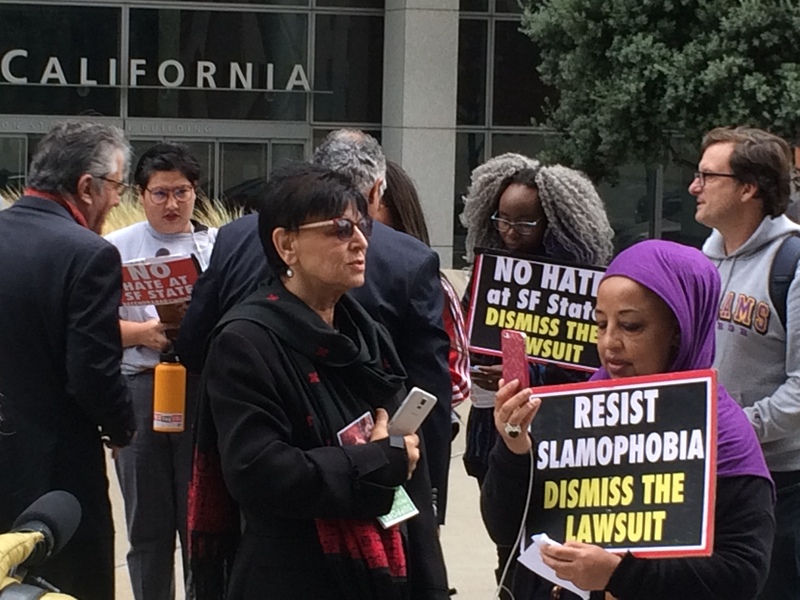 U.S. District Judge William Orrick said at the end of a 57-minute pre-trial hearing that the suit filed by the Lawfare Project on behalf of the Jewish students lacked specificity and needed to focus on the current situation on campus, and not on what the suit had claimed was a half-century of anti-Semitism at SFSU. 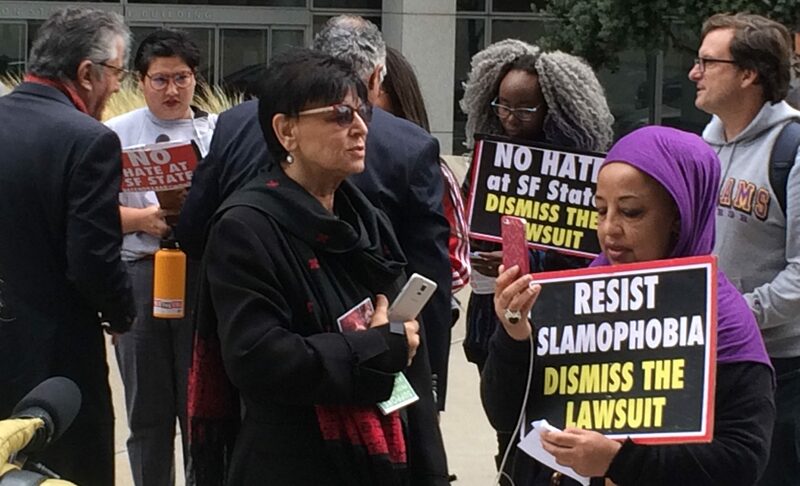 Lawfare filed the suit in June, pointing to decades of anti-Semitism at SFSU and focusing on the campus shout-down of Jerusalem Mayor Nir Barkat by pro-Palestinian groups in April 2016 and San Francisco Hillel’s exclusion from the February 2017 “Know Your Rights” fair on campus. The suit seeks monetary and punitive damages, admission of fault and actions aimed at protecting Jews on campus. 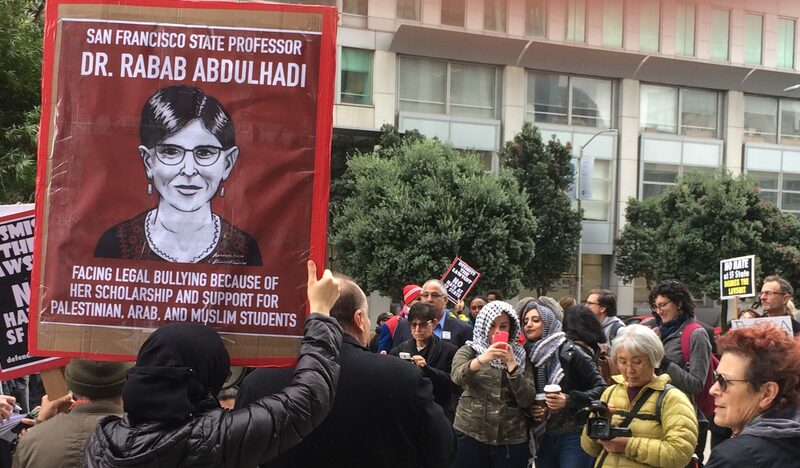 About 60 people rallied outside the courthouse before the hearing, calling for the suit to be dismissed and saying Lawfare’s suit was an attempt to stifle free speech at SFSU and to silence Abdulhadi. They then packed the courtroom and later celebrated the judge’s decision. One of Abdulhadi’s attorneys, Ben Gharagozli, said he looks forward to Lawfare refiling the case. 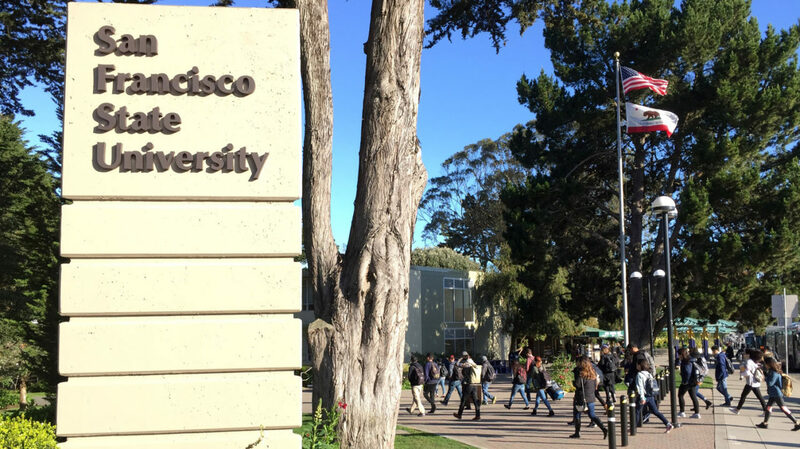 An SFSU investigation of the “Know Your Rights” incident reported in July that Hillel was a victim of retaliation and was denied its free-speech rights, but rejected accusations of religious discrimination in the group’s exclusion of Hillel from the fair. That case remains on appeal. CORRECTION, 11/9, 10:30 a.m.: The headline and first paragraph were amended to more accurately reflect the judge’s pronouncements regarding the lawsuit. The last paragraph was changed to better reflect the current status of San Francisco State University’s investigation of the Know Your Rights fair.